An absolute necessity when food-processing, fishing, handling glass or sheet metal...literally anywhere that you might need to protect your hands from sharp objects. 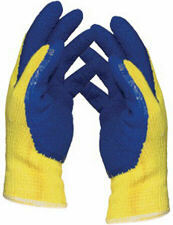 Weston Kevlar Butcher Gloves are up to five-times stronger than steel for ultra-protection. Ideal for use when cleaning products such as meat slicers and knives.